WASHINGTON (June 26, 2008) -- Soldiers in Infantry Brigade Combat Teams now get the first crack at Future Combat System technology, Army officials said during a news conference at the Pentagon June 26. 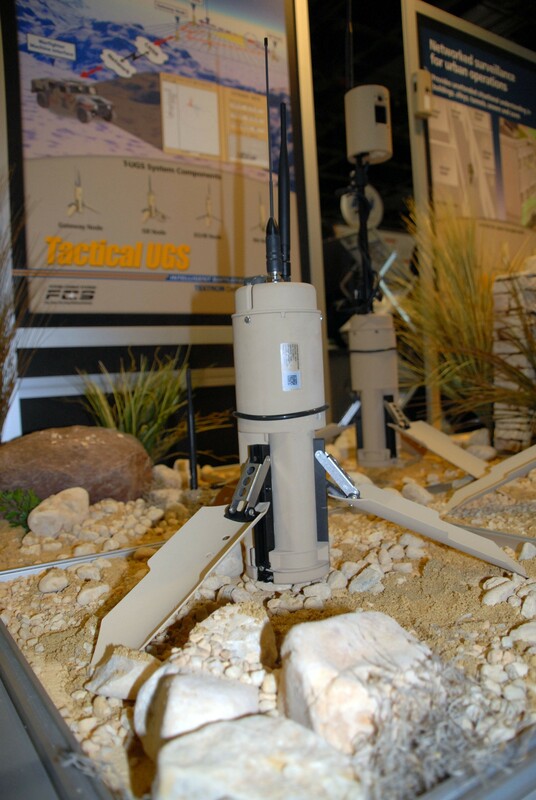 Tactical and Urban Unattended Ground Sensors are part of Future Combat Systems equipment expected to be fielded to infantry Soldiers by 2011, as part of an FCS acceleration announced June 26 at the Pentagon. "As a result of capability gaps found in these IBCTs, the Army is accelerating the FCS complementary programs to provide capability to infantry units first," said Lt. Gen. Michael A. Vane, director of the Army Capabilities Integration Center. "These capabilities will increase their capability and survivability in offense, defense and stability operations." "A key part of this is enabling the Soldier, so part of this decision is to take the Ground Soldier Ensemble -- the kit that enables the Soldier to be brought into the network -- to bring that developmental timeline in line with the FCS program," said Lt. Gen. N. Ross Thompson III, military deputy to the acting assistant secretary of the Army for acquisition, logistics and technology. Thompson also said the change in schedule would not change FCS program costs. Lt. Gen. Stephen M. Speakes, deputy chief of staff for programs and Army G8, said the change will have a dramatic affect on the way Soldiers today can fight in Iraq and Afghanistan. "This re-evaluation is based on seven years of sustained combat," he said. "We believe that the change materially improves upon the capabilities we will provide to Soldiers, and has direct relevance to the current war fight."